To end the year I was looking for a possibility to provide the posts of this year as a PDF to make them available offline. First I just wanted to publish the "interviews" as PDF document. But it was harder than expected to find a way to get it done how I imagined. So finally here's the result. I used Tabbloid to produce this PDF, it can be easily done, just send them the feed you want to generate a PDF out of. I chose this service of HP because it integrates pictures and links into the generated PDF. What FeedJournal, another newspaper style PDF service, for example doesn't do. Unfortunately it wasn't possible to choose which articles and how many are included. So the PDF's content is about the articles of July until now. If anyone knows a better way to convert a blogger blog into a PDF document (including links and pictures) please contact me or leave a comment, because this was the first try to do something like that and I am not satisfied with it. 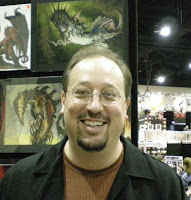 But I hope you enjoy my "half year" PDF summary of the Earthdawn Blog. Maybe you liked my post about "The Gamers" and as I discovered a little bit late, why didn't anyone tell me, the team of "The Gamers" are back with a new movie called "Dorkness Rising". You can buy also the DVD with additional material about the production and so on. But the videos are also available on youtube. I post here the first three videos, if you like them, watch the rest of the 11 videos on youtube. I am very proud to present you at the end of the year a new interview. 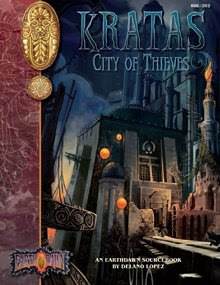 The title says it all, its about the artwork of the new book of Red Brick Limited "Kratas: The City of Thieves". "Would you short introduce yourself?" 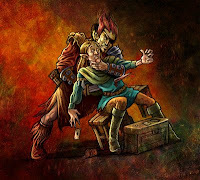 "On the page of Red Brick were several Kratas Teasers published which show some excellent works of the book. Please tell us a little bit about the work on them and how you came to paint them." The Kratas Sourcebook kept us busy for a while and honestly I’m happy that it’s finally done. The project has grown as time drew by – at the beginning we wanted to „recycle“ some artwork from the older Earthdawn-books, but the text and of course the topic Kratas gave us various possibilities to give creativity full scope. I didn’t add it up again, but I guess barely the half of the book is completely new artwork. The illustrators carried out really great works. Parallel to the production of the illustrations we adapted also the layout. The book became much darker, more atmospheric. It was important to me as Art Director, to connect text and pictures much more closely together, than that was the case until now. I hope we can pursue this direction with the upcoming sourcebooks, but this requires of course much time and work. "Which work do you like most?" Uh, that’s hard to tell. David has contributed some marvelous ink drawings, so it’s really hard to decide. But I think, the dark Raschomontemple is my favor. Damien concentrated mainly on charakterportraits - there I like the design of Veniah Indirijan most, because that is one of the characters, which I had sketched long ago for the Kratas fan project. I had imagined it completely different, but it is really exciting over and over again, to see how differently illustrators interpret and convert texts and descriptions. My favourite contribution of Sade is the thief that is wrapped in shade, which is much more atmospheric in color. From my own drawings I like two in particular - interestingly it’s first and the last picture, which I made for the book. First was the sketch of Kratas, this mass of ruined architecture, which rampantly grows over the mountain. The latter was the illustration of the Troll nethermancer with the caged windling. I made the sketch on the EDFC (Earthdawn Fading Suns Convention) in Dortmund, but then nevertheless some weeks passed, until I drew it in color. "Which one was the hardest to do?" Definitely the cover. Architecture is always difficult, and the whole details munch also a lot of time. From the interior-artwork, the illustrations, that are placed in front of each chapter, were the most complex to do. Those are all in color, needless to say that this lasts much longer, than a pencil or an ink drawing. "It's the first book wherein all the art was done by Red Brick (true?)." As already said, not completely. I would say the half consist of new illustrations. "Which troubles did you encounter making the interior art?" "Which drawing techniques did you use for the different paintings?" Oh, very different. Pencil, water color, india ink. The coloration was of course mainly done digitally. My favourite technology is the simple pencil drawing, because the individual line of the illustrator preserved the best. But I also like to work digitally, whereby I actually always mix digital with classical/manual techniques, such as acryl or water-color. "Thank you very much for the interview and the additional pictures"
Red Brick published some Kratas Wallpapers before the book "Kratas: The City of Thieves" came out. Those free wallpapers can be downloaded on their PAGE. When you're a gamemaster and you want to use music in your campaign, first of all: Make a good selection. On the one hand, using music, you can create a special mood for every situation. On the other hand, if the music doesn't match, it disturbs the flow of the game and destroys the mood you wanted to create. So you got to select music and listen and feel what kind a mood it creates. 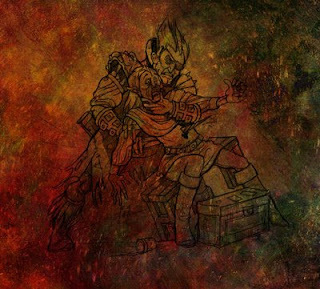 A very useful source for roleplay music are the CD's of ERDENSTERN. 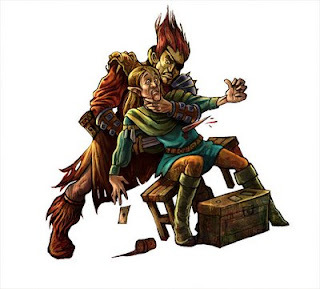 They are professionally produced for roleplaying games. Erdenstein already produced several CD's like Into the Green, Into the Red, Into the Blue, Into the Dark or Into the Gold. Each one is about a specific topic, for example the CD "Into the dark" covers sinister, dark and fearful sounds. All of the CD's are very useful, if you decide to enrich your game with music. Another source for rolegame music are of course soundtracks from several fantasy movies like "Conan the Barbarian/Destroyer" Conan the Barbarian - Anvil of Crom Conan the Destroyer - Battle Song, "Willow" and "Gladiator". But also computer games offer a rich database to include music into your game. But as I tried to point out in the beginning, you shouldn't just click PLAY and let the music echo in the back. Find the right point to turn up the volume and create a room full of darkness and fear. After the Spiel '08 in Essen (Germany) is over, I was waiting for the Interviews from DORP-TV. Last year I posted an interview with Dammi in german, but I realized that its kinda unuseful for my english readers and for Red Brick too. So I contacted Dammi and Scorpio from DORP-TV and asked them to make an interview in english. Today I discovered Dammi's new blog post Spiel '08 Recap and there you can find links to interviews in german and english, that were made at the Spiel '08. Great stuff!!! I found a new and better way to built quizzes via mystudiyo.com and so I transformed the old quizzes and made them available again. You can perform the old quizzes over HERE. I hope you like the new look of the quizzes. Enjoy and good luck. First: I apologize for making a post in german! 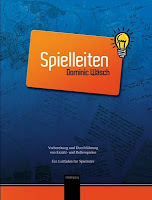 But I have to tell the german players about the book "Spielleiten" from Dominic Wäsch, that is published by Red Brick. The book is in german and it represents a manual for gamemasters. 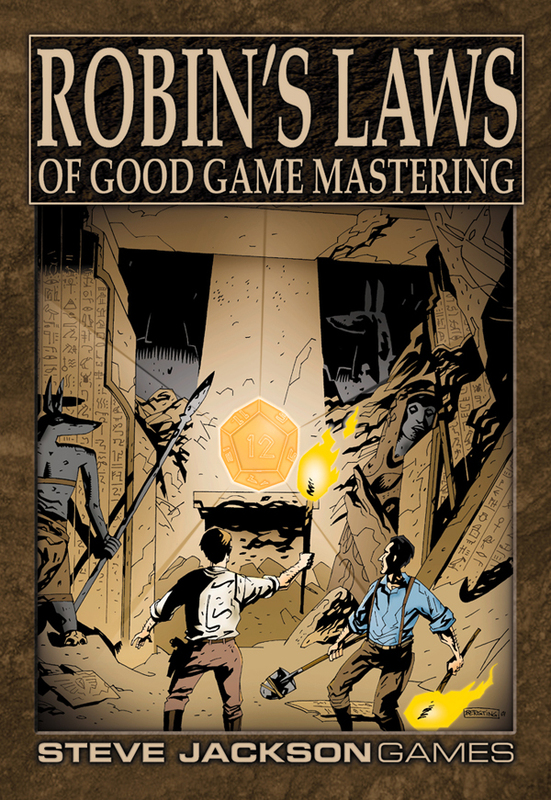 For all of you who want a similar book in english should have a look at the book of Robin D. Laws "Robin's Laws of good gamemastering" or the Gamemaster Law PDF that is available at DriveThru. I guess you will discover other gamemaster guides if you google it. But the book from Dominic Wälsch is one of the few (or the only?) in german language. Hallo erstmal, dies wird einer der wenigen Posts auf Deutsch werden, soviel schonmal vorweg. 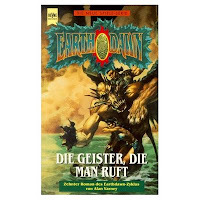 Wie ihr sicher auf earthdawn.com gelesen habt wird auf der Spiel '08 das Buch von Dominic Wäsch "Spielleiten" erstmals zum kauf angeboten. Aber natürlich müsst ihr nicht unbedingt nach Essen fahren, um eure Finger auf das Buch legen zu können und zu schwören: "Ich werde immer versuchen ein guter, ehrlicher und aufrechter Spielleiter zu sein, so wahr mir Odin helfe." Nein! Das Buch wird über LULU.com, RPGNow und DriveThruRPG vertrieben und ist somit als PDF oder gebunden für euch auf schnellem Wege griffbereit. Ich muss selbst sagen, daß ich als äußerst professioneller Gamemaster eigentlich keinen Gebrauch für solch ein Buch habe *grins*. Trotzdem juckt es mich schon es zu lesen, wer weiß vielleicht bin ich ja beim Spielleiten doch nicht so vollkommen, wie ich es mir gerade ausmale (alles ist eben subjektiv). Also was fehlt noch für die Kaufentscheidung? Richtig, eine Rezension. Und jene habe ich soeben beim Rollenspiel Almanach entdeckt. Macht euch am besten selbst ein Bild der REZENSION. Die Vorschau zum Inhaltsverzeichnis des Buches findet ihr HIER. 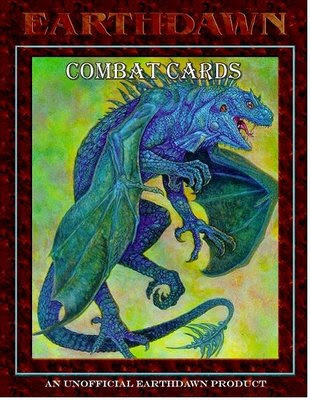 Earthdawn Combat Cards were made by EDPT and provide a very good way for gamemasters to have a quick overview about creature statistics. 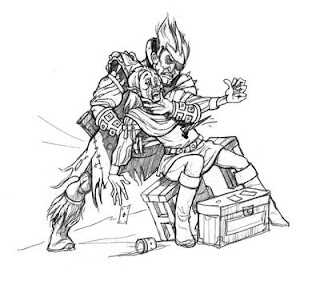 But thats not all, the downloadable PDF below provides some blank cards to be filled with your own characters or other NPC's the players encounter in your campaign. I want to make these Combat Cards package freely available for you all again because EDPT is still offline and I think those cards are a good tool to have an overview about statistics of several enemy's, creatures or NPC's. Notice that I will delete and redirect this download to EDPT when it is online again. My research for Earthdawn dice software was.......I would call it "incomplete". But Arma left a comment about another diceroller and Elidis contacted me to provide some other dicerollers, that are especially made for use in Earthdawn. 1. The one that Arma mentioned in his post was the second step diceroller (mirror). The second step and also the second step diceroller were made by Lars Gottlieb and his mates. Thanks go to Denmark. 2. This diceroller is simply called "Earthdawn Step Roller" (mirror) and that's what it does. 3. Last but not least, if you always forget which dice you have to use at step 200, then just have a look at the step calculator (mirror). Then you realise that you will roll with 9D20 1D12 9D10 8D8. JIHA bring on Verji!!!!!! I have to admit that I don't know the programmers of the "Step Dice Calculator" neither of the "Earthdawn Step Roller", if the producers of those programs visit this site, please contact me. Thanks go to arma and Elidis (once again). Another diceroller especially designed for earthdawn, was sent to me a few days ago. This java based diceroller gives you the possibility to choose the race and add karma dices to your step you roll. Just check is out, its one of the best dicerollers for earthdawn so far. This java diceroller was programmed by Kjetil Wiekhorst Jørgensen from Norway in 1996, thanks to him. Well, when I read an article at Rollenspiel Almanach about a flash based dice generator, I wanted to know if there were some that fit to Earthdawn. 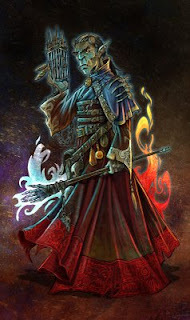 Unfortunately most I've found are based on D&D, but they can also be used for Earthdawn. 1. This flash based dice generator from goku87 is in my opinion the neatest you can find. It displays the dice that are rolled and doesn't just spit out numbers from its algorithm. This will serve all your needs, you can even select multiple dice to roll. From a D4 to D100. 2. Another very nice interface is provided by this D&D dice roller that I discovered at wizards.com. But you can't roll multiple dices and even there is no sum result shown. It's available as an online version if you prefer to roll your dice online or as a setup version. 3. 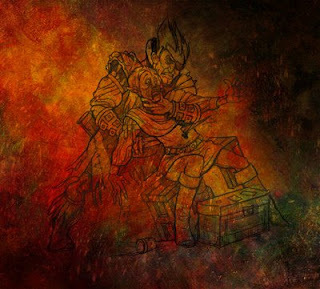 The next I discovered at the downloadsection of dndadventures.com and it has the option to add all rolls together. It's very simple done and not very eyecatching, but it works and provides a quick way to roll your virtual dice. To use those programs in your Earthdawn campaign one thing is still missing. Being able to roll the maximum result of the dice again. But its only one click away to reach your goal. Another thing that is not included by now is the sound your dice produce when you throw them long and far (waiting, hoping) across the table. A few days ago I grasped the opportunity to buy earthdawn novels by the sale out "The horrors ate our margins" from Red Brick. As I introduced the new novels "Anaryas Secret" and "The Dark Shadows of Yesterday" some time ago, I decided to buy them via Lulu.com. So my books were produced as softcover by print on demand. "Sure thing" I thought and you should have seen me jumping around when they finally both arrived. The new books. On the left "Dark Shadows of Yesterday" on the right "Anaryas Secret". On the right "Dark Shadows of Yesterday" and on the left, surprise surprise "Dark Shadows of Yesterday" too. Hm let's counter-check. On the right "Anaryas Secret" and on the left "Anaryas Secret too. I have to say that I don't mind at all about that funny mix-up, because I won't sell the books when I read them via ebay or whatever. I was just surprised when I realised that "Anarays Secret" contented "The Dark Shadows of Yesterday" and the other way round. I even didn't contact Lulu.com to tell them about that. I would say I own two unique earthdawn novels!!! Yes.......think positive.....yes. I guess that this can't happen to you if you buy just one book and don't be deterred to order at Lulu.com, the quality of the books is extraordinary. 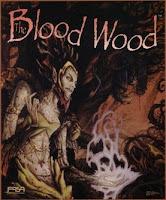 Its just the way that I had to tell you all what I own now, two mixed-up earthdawn novels and as far as I read them by now they are worth their money. Note: for all that haven't seen it yet, A NEW QUIZ IS OUT and I hope some of you finally manage to get 10 points at the first try. How I just read at earthdawn.com made Red Brick a cooperation with Black Book Editions, a french publisher of diverse RPG's. Over HERE's the French Homepage of Black Book Editions' Earthdawn version, so improve your french!! With my school french I walked through the Forum of BBE and discovered a guy whith the nick Damien C. I guess its Damien who I interviewed last month. HERE's the interview. But watch youself, over HERE's the Blog of Damien C. and his paintings. Enjoy.